Red lips are a head turner. And guess what there is a red lipstick for every skin tone. 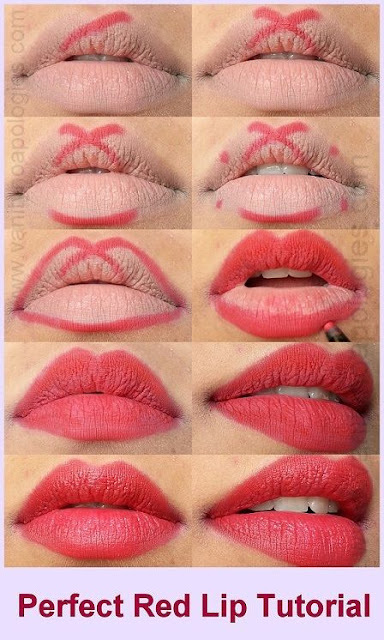 A deep red pout is bold and beautiful but to get perfect red lips is a tricky business. Also the rest of the makeup needs to be very toned down and muted because we want to highlight our lips and make all the guys drool. A lot of girls struggle with the eternal question of how to wear a lipstick with perfection and what makeup to pair with it. In this makeup tutorial I will teach you how to first line your lips with a red lip pencil or lip liner and then apply lipstick straight from the bullet or brush.